Oh how I enjoy my visits to EPCOT. It's fun to cram 20 countries and cultures into a few hours, but it does get tiring. The good thing is that when you get tired, you can go find a quiet little spot in a corner, soak up a little more culture, and relax. 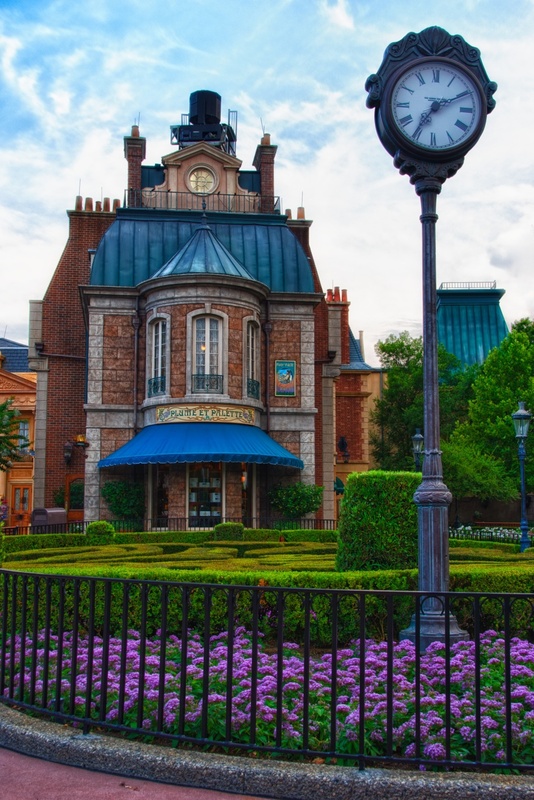 I had done just that over in the French section of EPCOT and was gearing up for some more photos when this scene caught my eye. It really looks Parisian to me - they do a fine job there of recreating the feel of certain places.